WHY HIRE WATER SLIDES THIS SUMMER? The sun is playing hide and seek with us this year with spring only teasing us with random days of warmth. It’s almost November and that usually means the sun stays out for longer than two days (that’s what we’re hoping for anyway). What can you do to keep the kids entertained over this summer season? Keep reading to see why hiring a water slide could be a fantastic option! As proud West Aussies we all flock to the beach as soon as the sun makes an appearance and then get equally annoyed that everyone else in town seemed to have the same idea. Your relaxing day on the beach with the family has now been compromised. The sand is so hot to walk on and there you are weaving through every other person and their dog to try and find a clear spot to sit down. The kids are getting impatient and run off to the water themselves. This is only adding to your stress because now you have to try and see what direction they ran while securing your spot. Good news parents, this can be avoided. We know not everyone has the luxury of a pool, but there are some great alternative water options to cool off this summer. Many companies offer full day hire so the family can enjoy hours of fun. Monsterball Amusements & Hire have a huge variety to cater to all budgets and backyard sizes. Honestly, it’s the perfect way to cool off on a hot day by just throwing yourself down a waterslide. Having fun in the water beats sweating it out every day of the week. We always recommend that water slides be supervised whether it is with one of our operators or you choose to man the slide yourself for safety reasons. If you want everything to be handled from set up, supervision and pack up then it is worth considering hiring one of our staff members to operate it. They all come with a valid Working with Children check and will take care of everything. 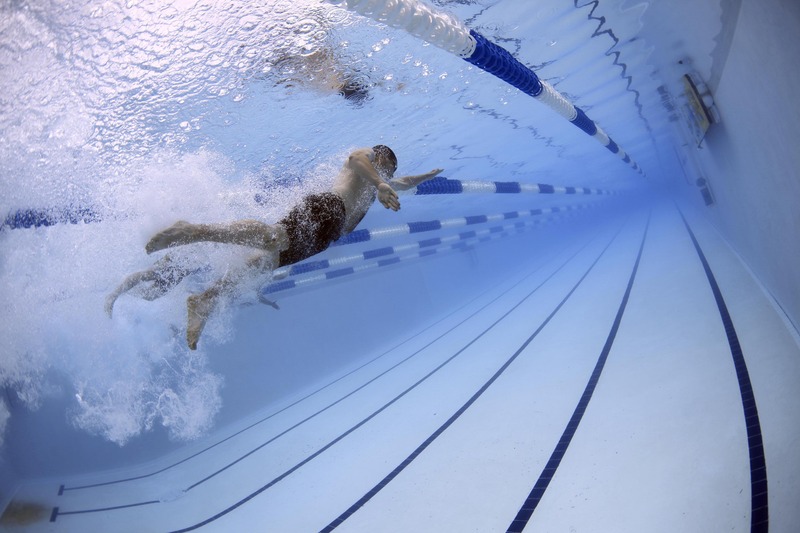 Hiring a water slide can often be safer than swimming in terms of water depth. 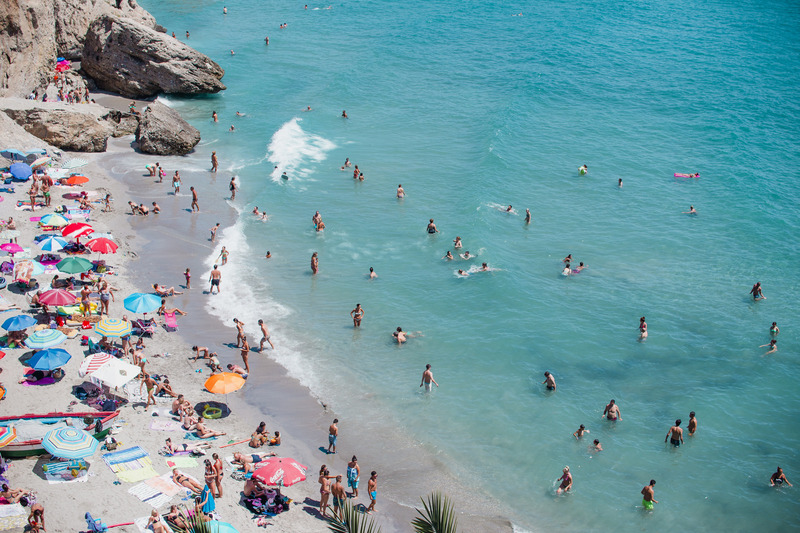 For places like the beach or the public pool, you aren’t really having a relaxing day because you are either in the water with your kids or watching very close by. Once again hiring a trained operator for your slide could be the best way to switch off and relax in the shade. The kids will be absolutely exhausted by the end of the day! They will probably still complain about going to bed, but as soon as their heads hit the pillow they will be out. You can then enjoy some well deserved R & R. You will also be ‘Mum of the Year’ for booking out a water slide for the kids! They won’t forget the experience anytime soon and is there anything better than smiling happy kids? We don’t think so! If you want to hire more than one waterslide then why don’t you grab your friends and hopefully convince the one with the biggest backyard to let you host the party there! What are we talking about? Well if you have the budget and space you can actually create your very own inflatable water theme park! You’ve all been to Adventure World right? It’s always such a fun day out in the sun with family and friends. It’s really hard to drag the kids out of the park when it’s time to close. That’s why we suggest you create a waterpark in your own backyard! You don’t have to drag yourself all the way to Bibra Lake, just make sure the kids have their swimmers on as soon as they wake up to make the most of the day! Monsterball Amusements & Hire pride themselves on being punctual so we will have everything set up before your party starts. 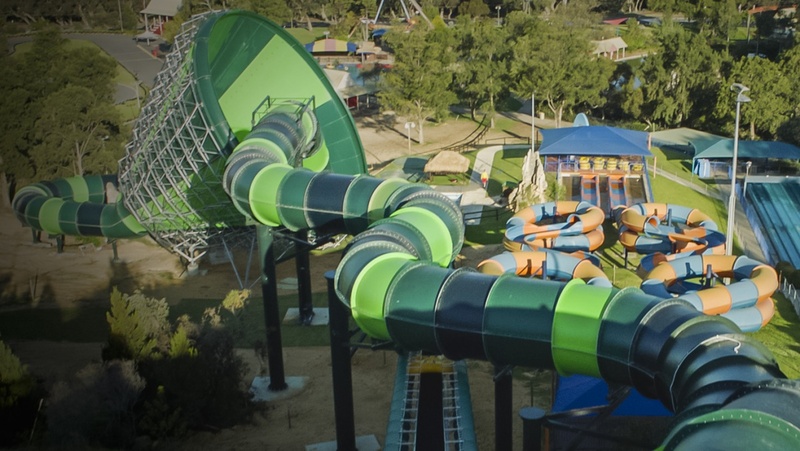 All you need do is provide the space, vehicle access, power and a tap to run the slides! Yes, something like this can get a bit pricey that’s why we suggest you grab your mates and split the bill. You can relax over a BBQ and some beers while the kids have an absolute ball getting wet all day long.